Make Use of Your Car! Transporting your stand up paddle board can be tricky if you don’t have a roof rack on your car, but it isn’t impossible! There are quite a few options you have that are just as efficient. 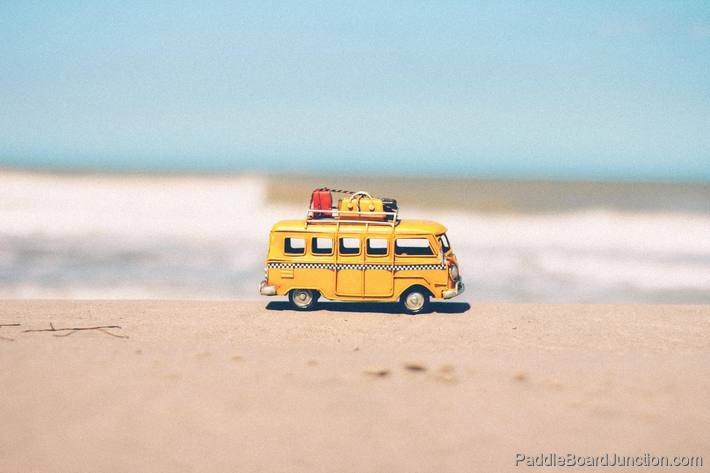 Those options include things like using the backseat of your car, making your own roof rack, or even just hooking your board up to a bicycle. Also, if you have an inflatable stand up paddle board, simply deflating it and putting it in the trunk of your car is a great option! However, the best family-friendly way to transport a solid SUP by car is on the roof. By making your own roof rack, you can do this for any car! 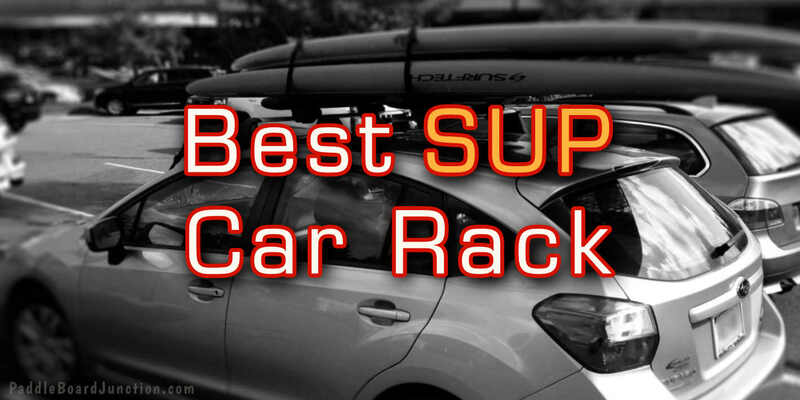 If your car doesn’t come with built-in roof racks, there are things you can do to improvise your very own rack. 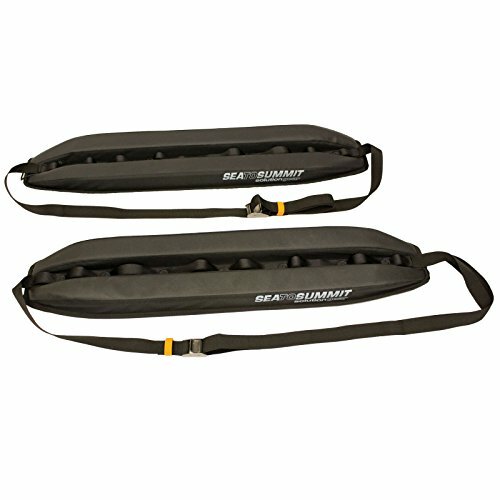 Using a couple of sturdy, heavy duty and long foam pads and some straps/buckles, making your own roof rack is super easy. For an extremely rudimentary and inexpensive form of roof racks, check out this video that demonstrates how to make some racks out of pool noodles! It’s cheap, but it works! If you want to use the pool noodle method, lay down a cheap yoga mat on the roof of your car for more protection against the paddle board! 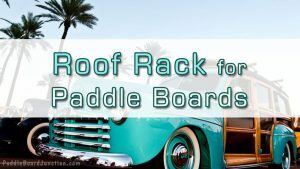 Another type of rack that you can use to transport your board on the roof of your car is soft racks. 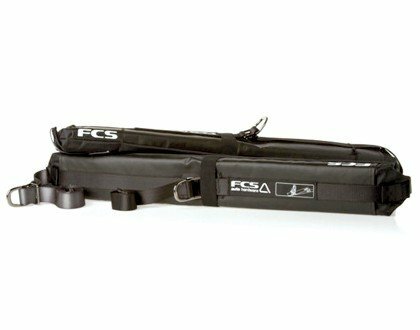 Soft racks are basically roof racks that you attach to your car, and they function as normal roof racks without being built-in. A good tip: Try not to use soft racks if it’s raining hard outside! The inside of your car could get soaked if it rains hard enough to soak the rack material. It will drip down the straps and the water will get into your car. Pro-tip: Whenever you are rigging your paddle board onto the roof of your car, always be sure to place it fin-side up. Otherwise, the fin of the board could scratch or dent your car’s roof. Or, if the board is on its side, it will act like a big sail and may cause you to lose control while driving. 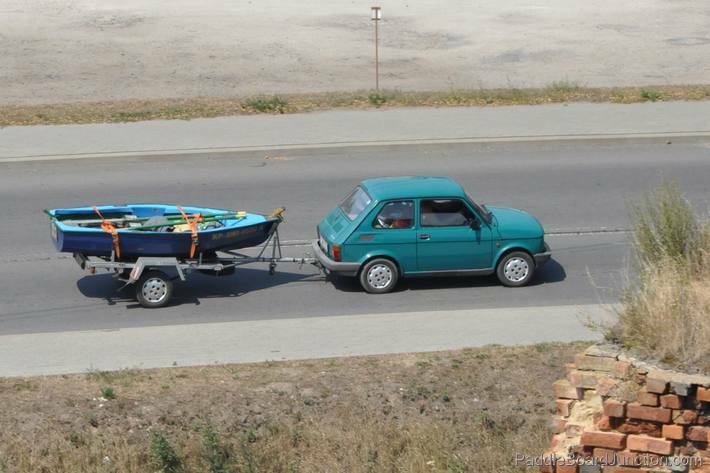 Much like a boat trailer, you can use a similar trailer for paddle boards. 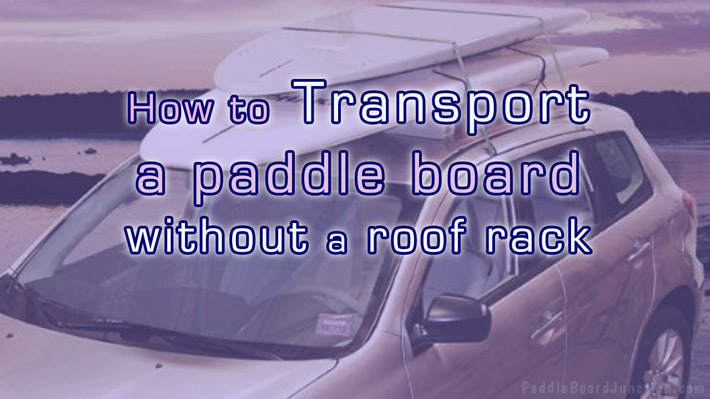 This method is especially convenient for those of you that have multiple paddle boards that need transporting. 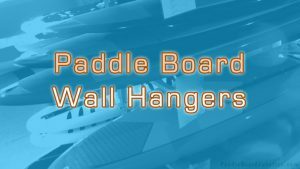 If you already have a trailer or can’t find one specifically for stand up paddle boards, you can always customize an existing trailer for your boards. The good thing about using a trailer for your car is that it can carry a lot of boards, and it doesn’t have to be a huge trailer (a small one will suffice). 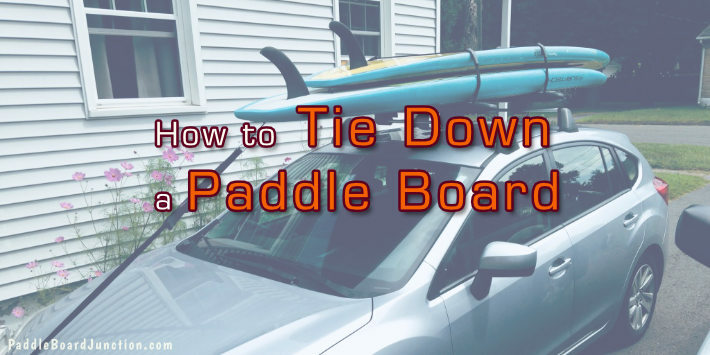 To save you the trouble of rigging up your own car racks, there are other transportation options for your paddle board. There is a myriad of ways to transport your SUP without the use of a car at all! 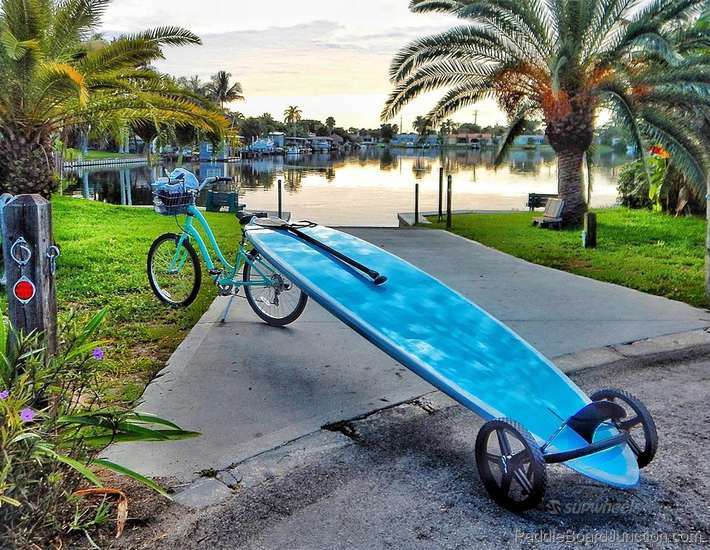 One of the most popular ways to transport a stand up paddle board is to use your bicycle. People normally use this method for longer distances. 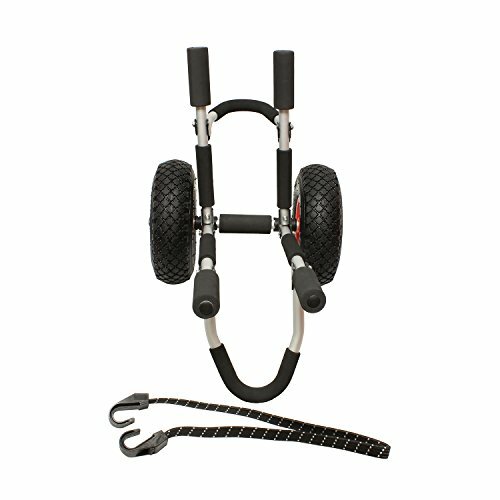 SUP Wheels – They can come with straps to hook up to a bicycle, or you can use the straps and pull it along yourself. 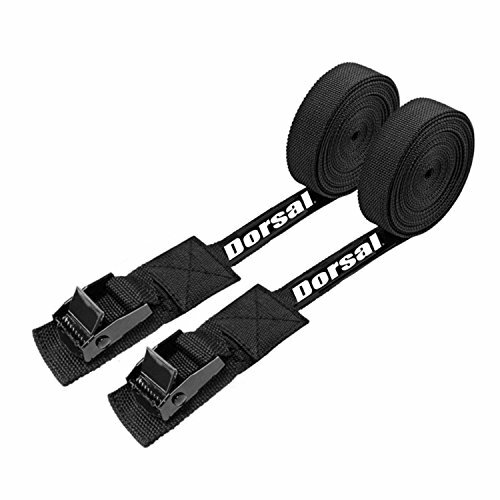 Straps – Shoulder straps attach to the board and allow you to carry it length-wise like a handbag. 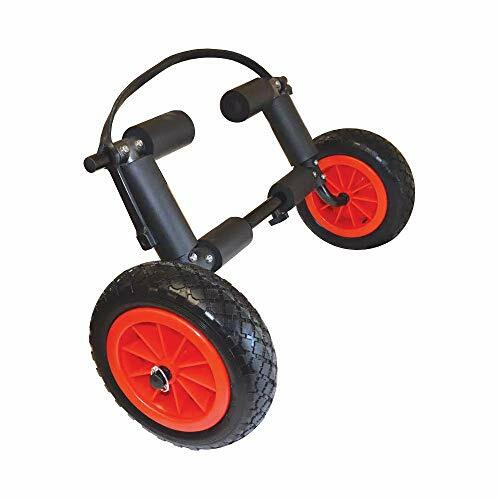 Carts – With paddle board carts, you can mount multiple boards onto the cart and attach it to the back of your bicycle. 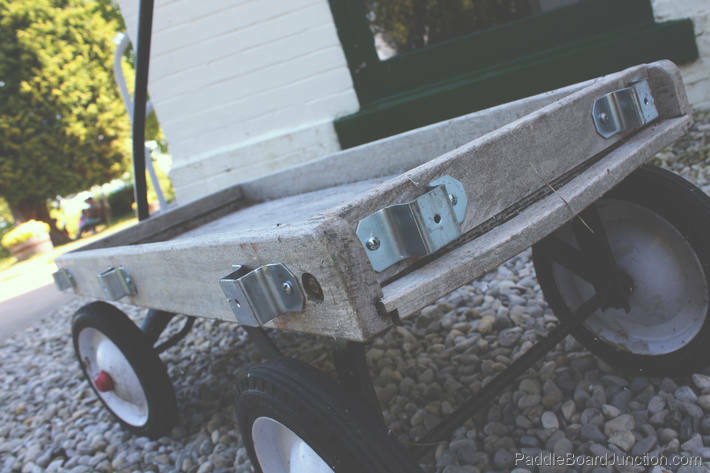 Dollies – Dollies are essentially the same as paddle board carts, but many only carry one paddle board at a time. Bike Trailers – Smaller than your average car trailer, bike trailers attach to the back of your bike and allow you to carry several paddle boards at a time. A while back I detailed my own setup that I use for transporting a couple of paddle boards in the back of my pickup truck. 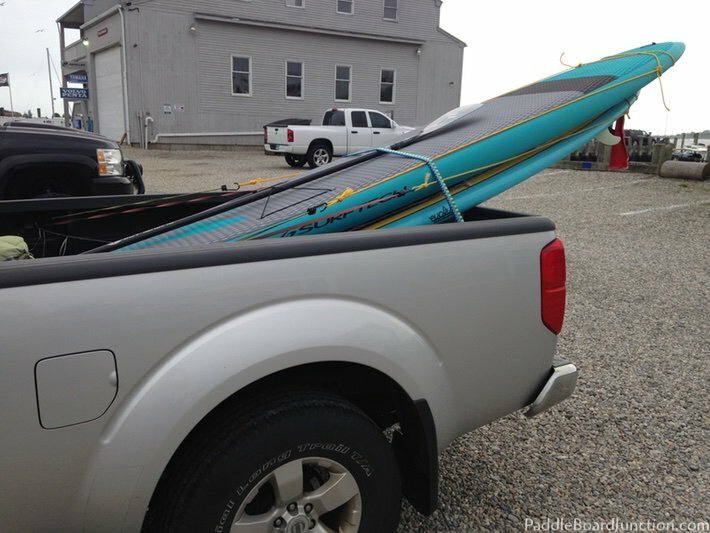 If you have a truck this is a dirt-cheap way to move paddle boards great distances. The best part is it only requires stuff you probably already have! I recently updated the post with some new photos and more information. I can happily say that I’ve used this mode of transportation for thousands of miles over that past couple of years without any problems. I hope this article clarified that you don’t need roof racks to transport your paddle board by car! 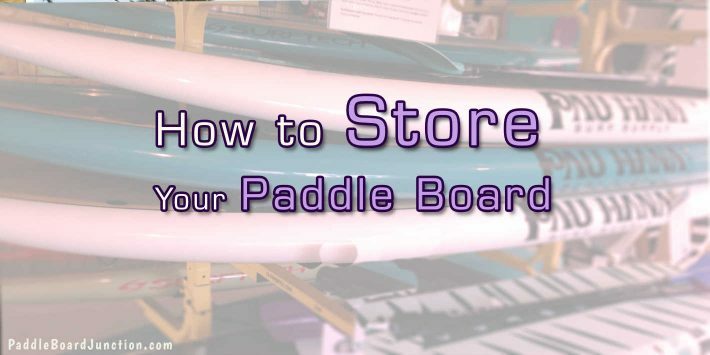 Now you can spend less time stressing about transporting your board and more time on the water!